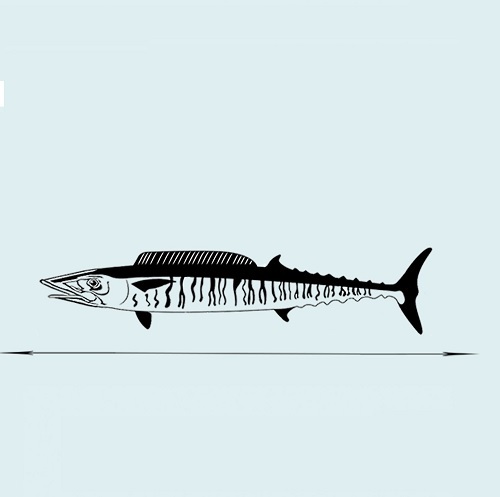 Wahoo are found throughout the world’s oceans where the climate is tropical or subtropical with warm water temperatures. Their growth rate can be quite rapid and they are one of the fastest fish in the sea. 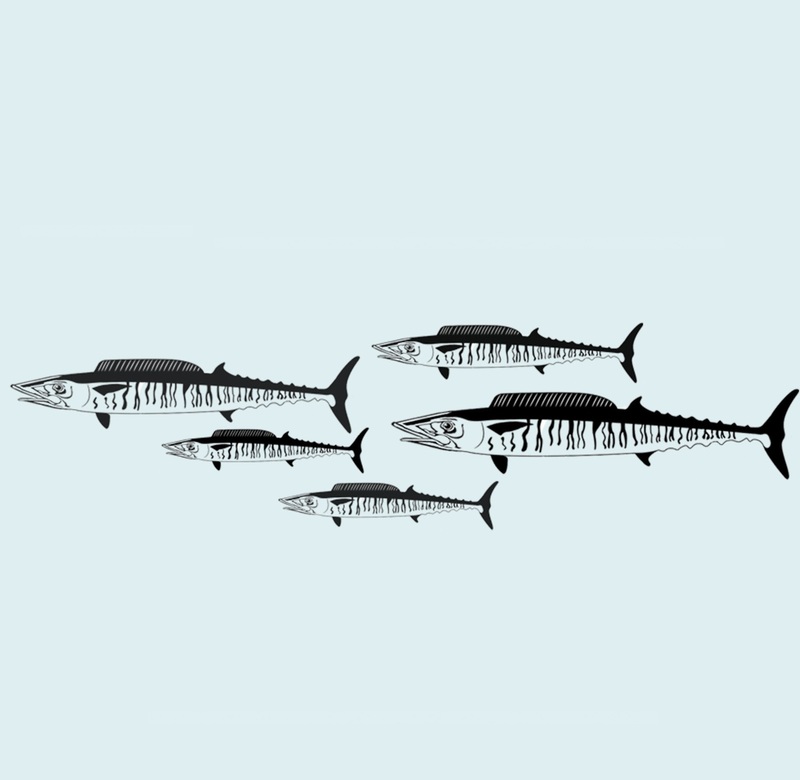 Bigger Wahoo can be solitary fish, but they also move in groups formed by 2 to 3 fish to as many as 100 fish. 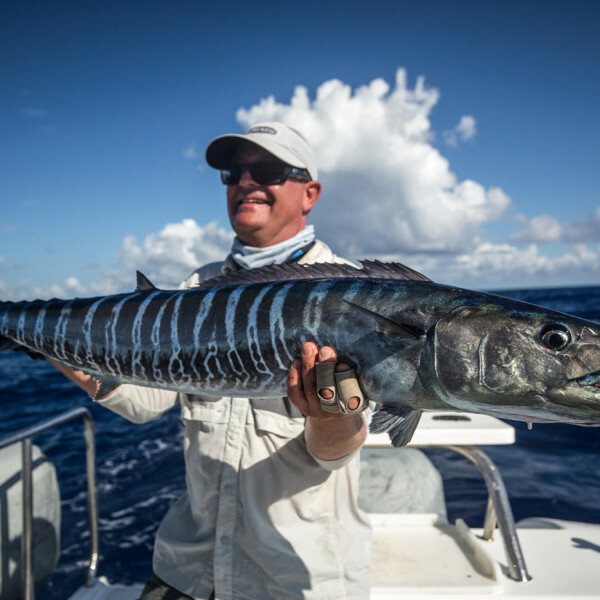 These big groups of Wahoo are known by some anglers as “wolfpacks”. 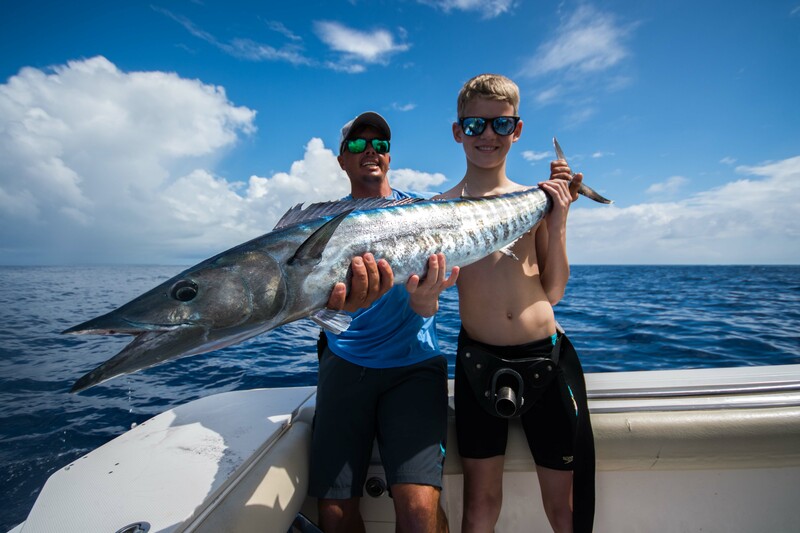 Wahoo fishing is an incredible experience! 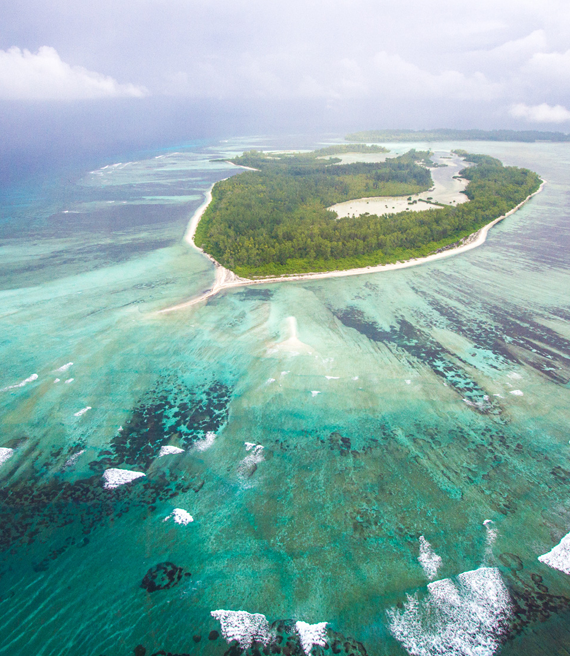 With the way the Alphonse Atoll is formed, it acts almost like a huge bowl that fills and empties with the rise and fall of the tides. 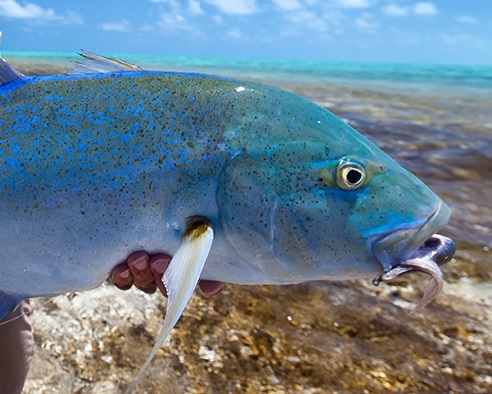 When the lagoon is full during the high tide, all the murky green flats water gets trapped inside, which means the water on the outside of the Atoll near the drop-off will be crystal clear and blue, which is what Wahoo love. 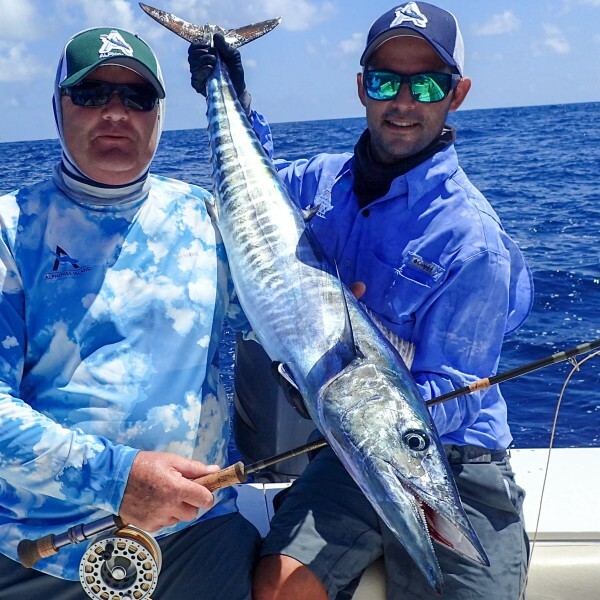 The three best destinations to target a Wahoo on fly with AFC would be Alphonse Atoll, St. Francois Atoll and Poivre Atoll. 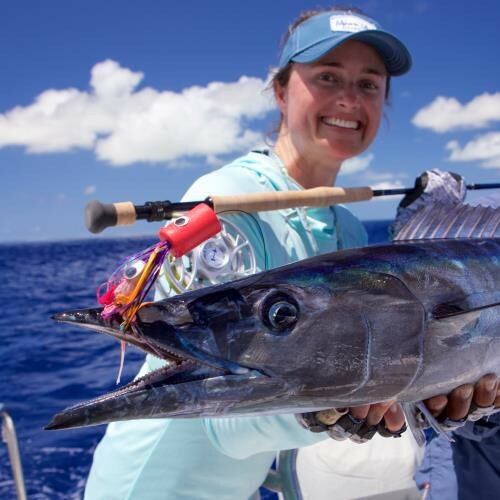 These four atolls are teeming with Wahoo and great guides which gives the angler an even better chance of success. 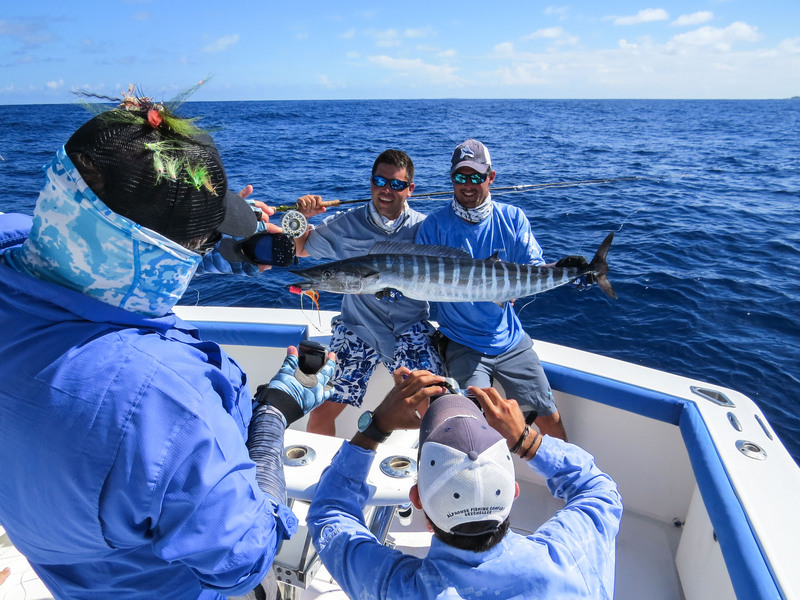 Wahoo are teased up to the boat in the same way that one would tease up a Sailfish. The popping head on the fly serves as a noise maker and creates a long bubble trail when stripped correctly giving the fly a bigger silhouette in the water. 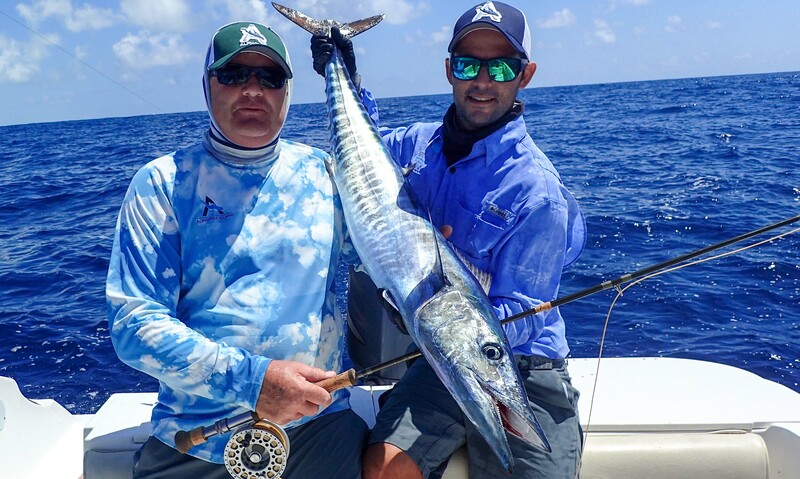 Wahoo aren’t afraid of big flies. Fly fishing is an art form that not everyone can master. It takes skill, patience, determination and knowledge. 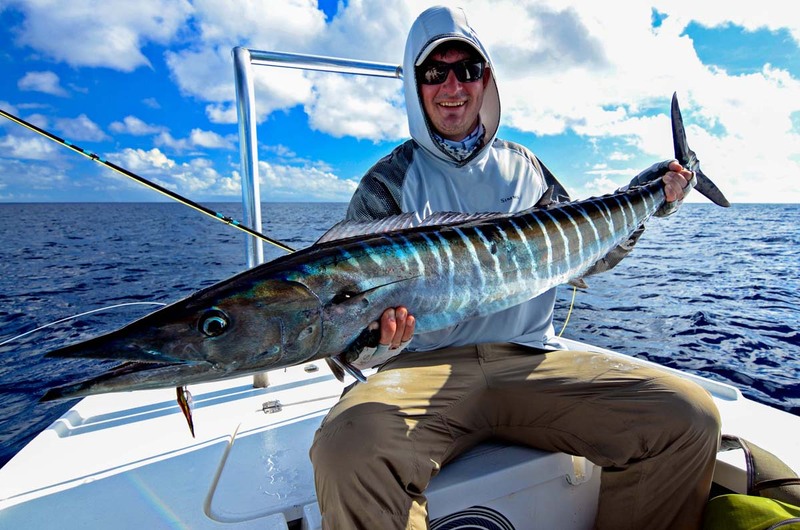 The best rod for wahoo will take you a lot closer to landing the catch. 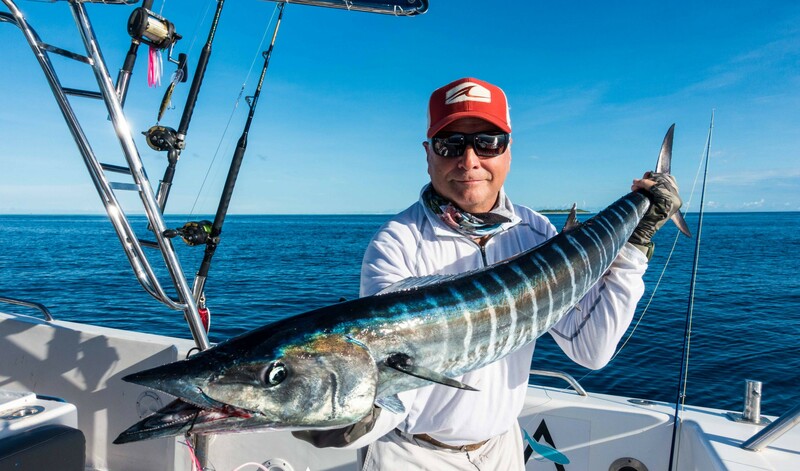 Wahoo are great fighters when hooked on fly, they make very fast, long runs across the surface of the water and will normally remain on the surface for most of the fight. 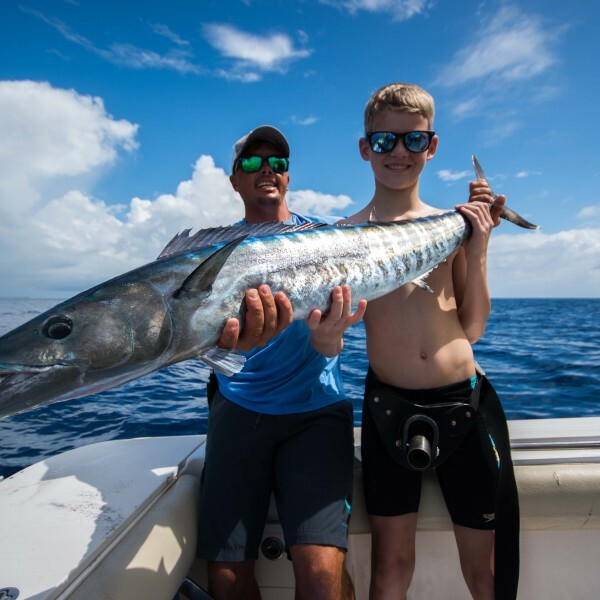 The rods we use for targeting wahoo are either a 10 weight or a 12 weight rod, the preferred rod would be a 12 weight due to the fact that you never know the size of the wahoo that will eat your fly. 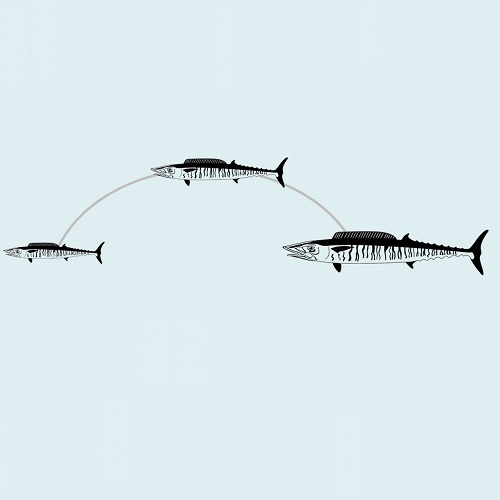 Although wahoo normally fight close to the surface, the bigger fish will sound (go down deep) and a bit of a stale mate will ensue, this is where the 12 weight rod becomes very effective with a strong back bone for pulling power and a lengthened fighting grip for leverage, it is enough to turn the fishes head and bring him up from the depths. 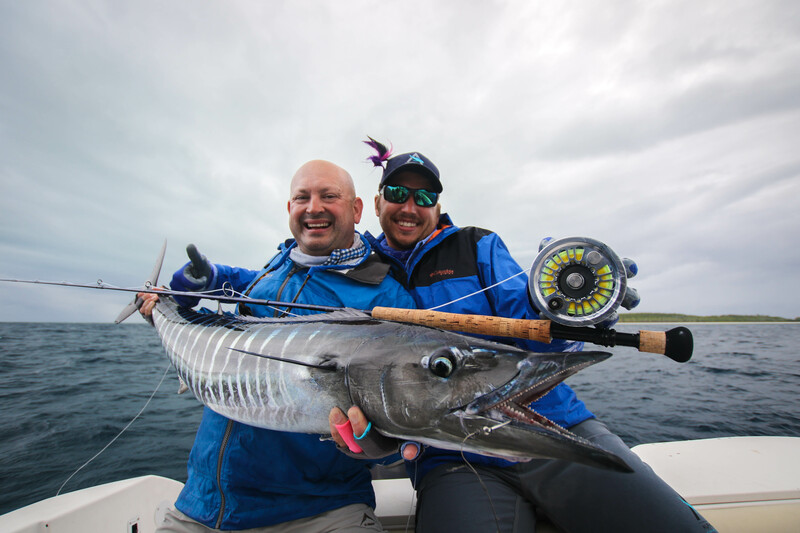 Due to the fact that AFC target wahoo on fly on a regular basis, we have a wide range of 10, 11 and 12 weight rods on offer. 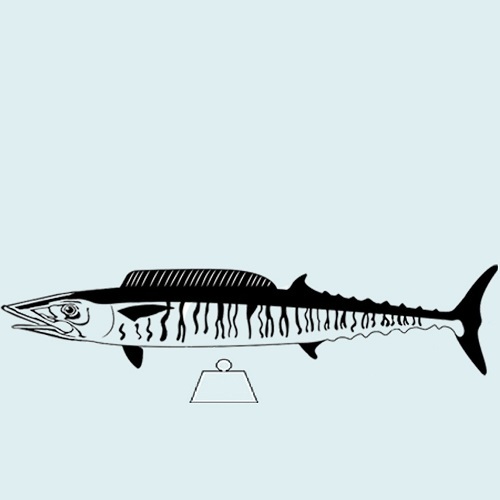 Wahoo are sight feeders, so they rely on clean water when hunting their prey. 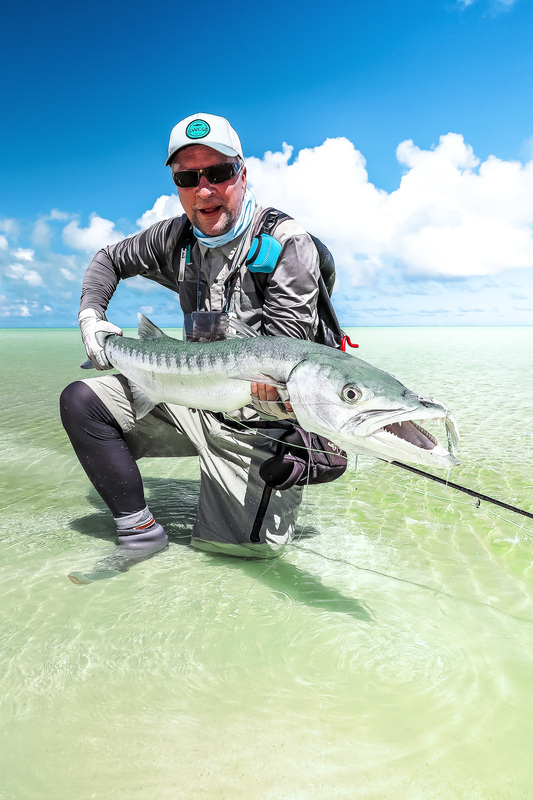 When targeting Wahoo around the Alphonse Atoll, it is best to fish as close to high tide as possible – the last 3 hours of the pushing tide or the first 2 hours of the dropping tide. Wahoo aren’t really affected by wind and swell directions, but when hunting for them, we hug the main edge of the drop-off where the pushing tide hits the wall and creates an up-welling. Current lines are a good indicator of this. 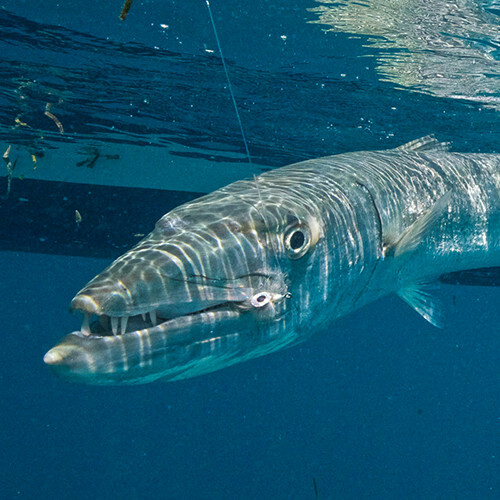 Wahoo aren’t afraid of strong currents and will often hold in the current waiting for Baitfish to come to them. 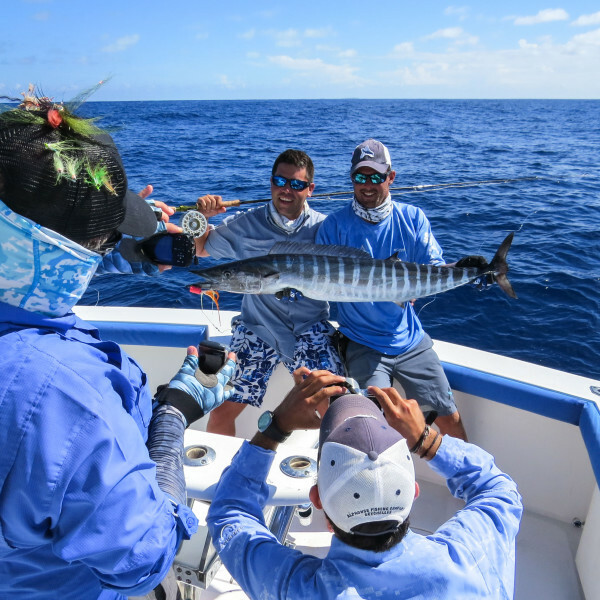 Targeting Wahoo on fly is done with hookless lures (teasers) trolled behind the boat at between 6 and 8 knots. 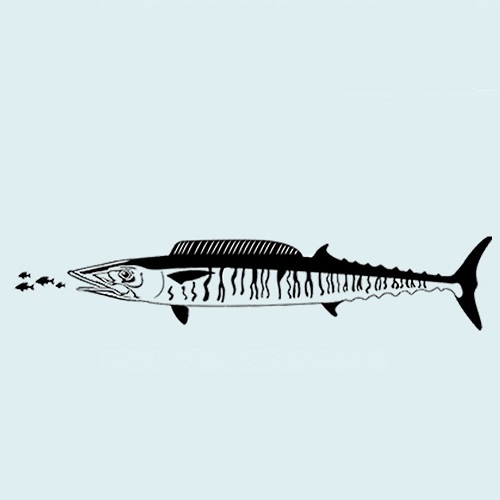 When a Wahoo or pack of Wahoo raise up into the spread, make your cast immediately as they don’t often hang around. They normally hit the lures and leave, but if you can get the fly out there in time, you are going to be in for the time of your life. Once the fly is in the water, the teasers are removed and it’s time to “pop the fly”. 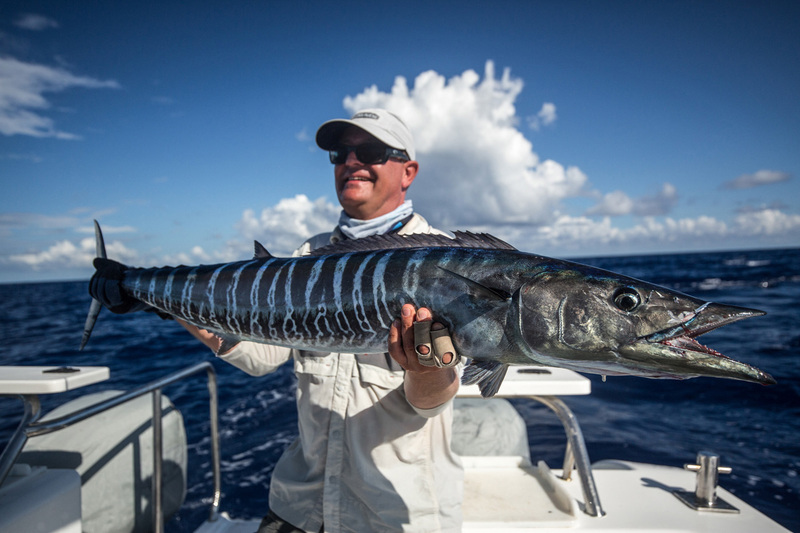 This is a long strip in order to get the popping head to form a bubble trail and attract the attention of the Wahoo. They will often take the fly as it is popped. 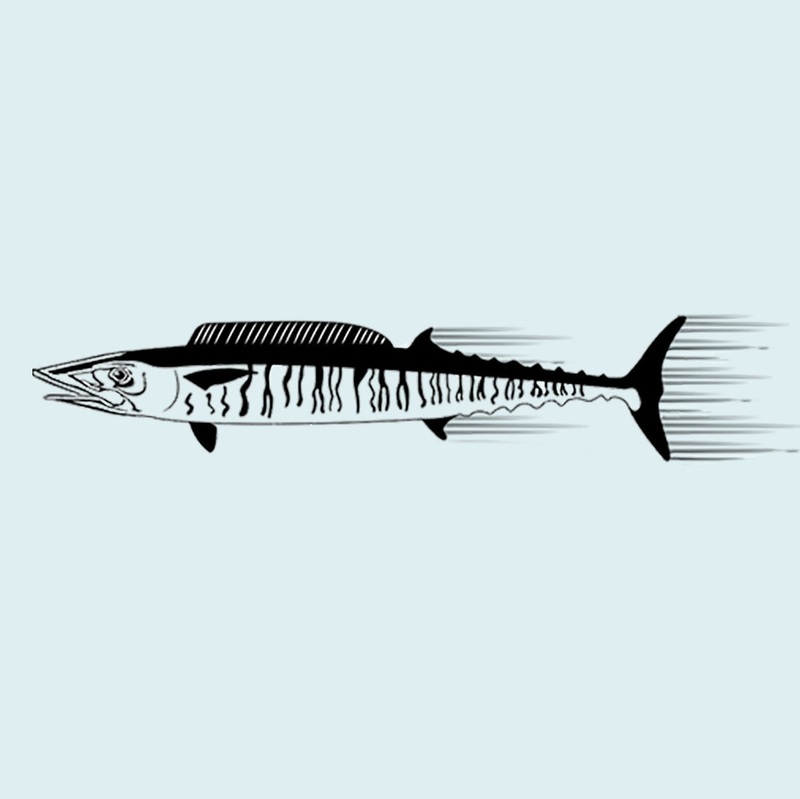 Wahoo can be very aggressive on the eat and sometimes go airborne. 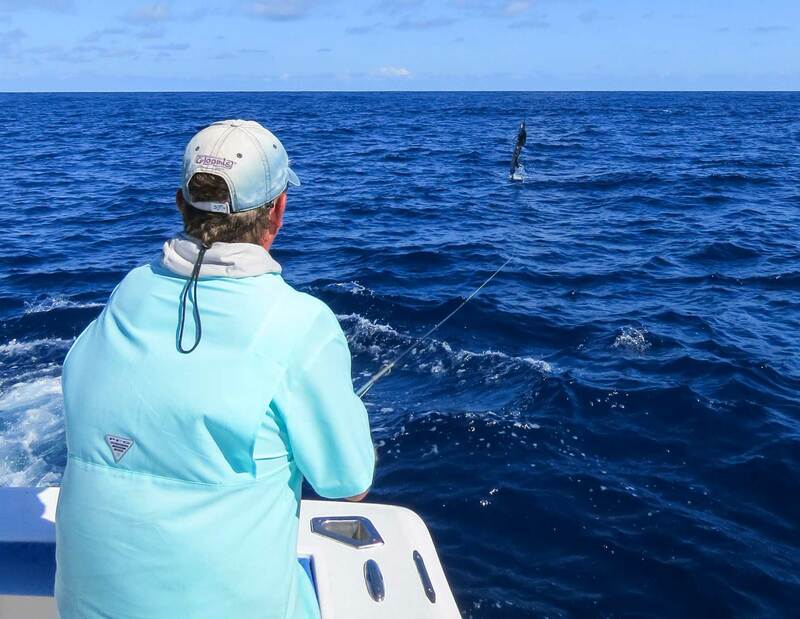 Once hooked, the first run is usually the longest and fastest of them all, the fish will settle after. 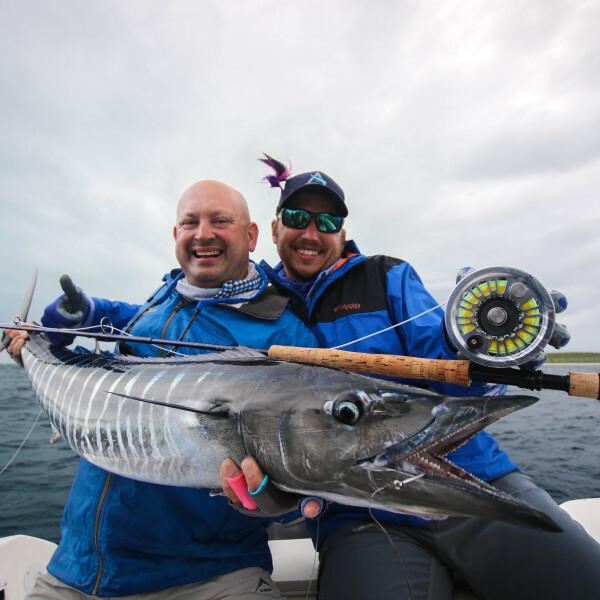 It happens very quickly which is why it is so exciting to target Wahoo on fly. Some of the big ones that did not get away. "It started with a huge smash and is such an exciting fight! What an amazing catch. " 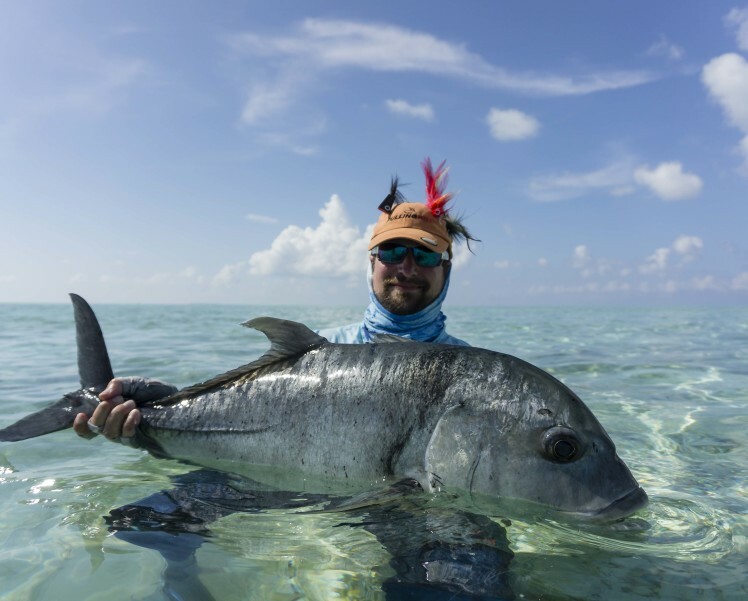 - Alexander G.
A dream destination for any fly fisherman, Alphonse Atoll in Seychelles is renowned for its expansive sea flats, which provide easy wading and world class fishing. The atolls are regarded as some of the most pristine, untouched islands in the world yet Alphonse Atoll is just a 60-minute flight from Mahé. 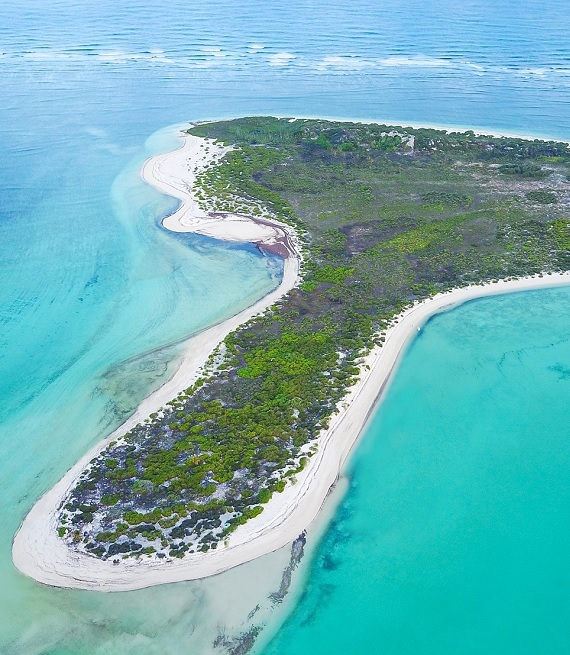 Cosmoledo Atoll is just a stone’s throw away from the world heritage site of Aldabra, often referred to as the Galapagos of the Indian Ocean. 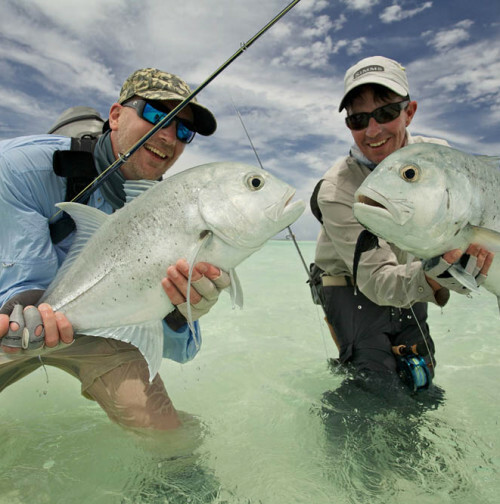 Its ecosystem is pristine with saltwater flats and a huge variety of fish species, attracting fly fishermen from around the world. 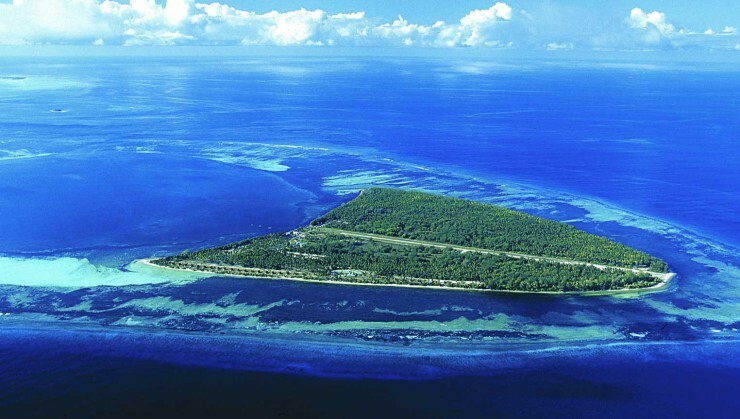 It is home to a newly built eco-camp, dedicated to the atoll’s conservation. 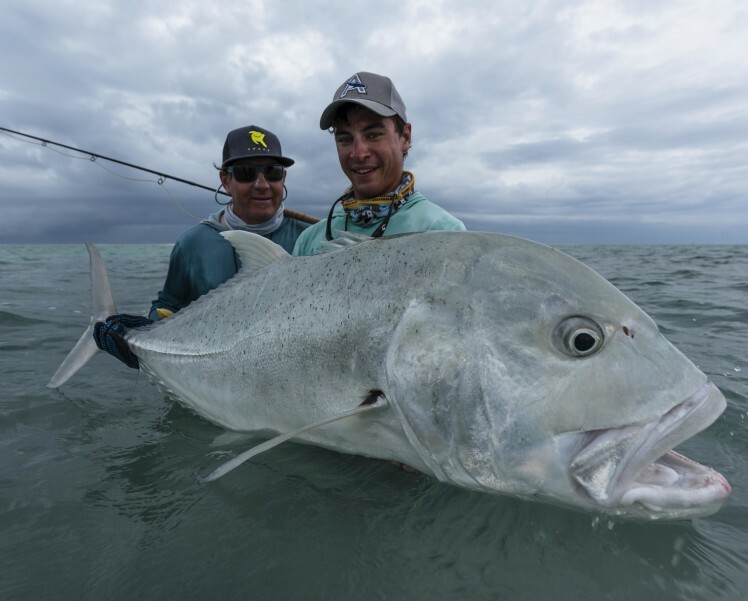 The home of the biggest giant trevallies in the Indian Ocean, this island in the Seychelles offers superb fly fishing in a shallow lagoon surrounded by sheer drop-offs. 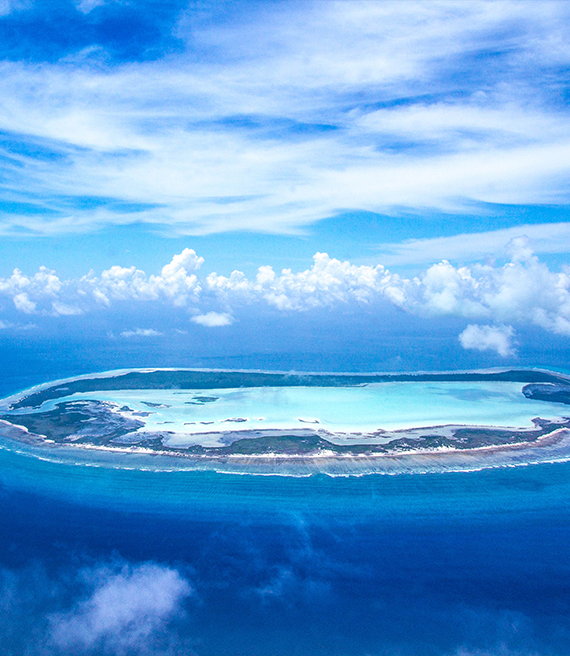 Just over a thousand kilometres from Mahe, this atoll forms part of the remote Aldabra group of atolls. 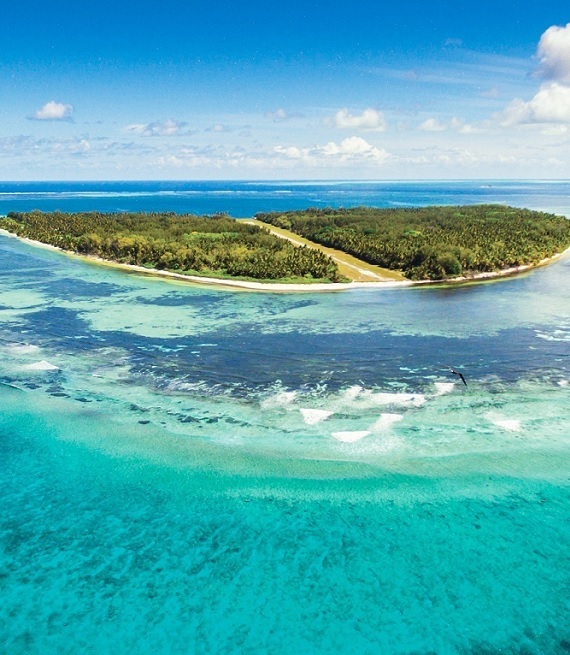 Uninhabited since 1969, this atoll has seen very little human presence which makes for a wild and unique experience. 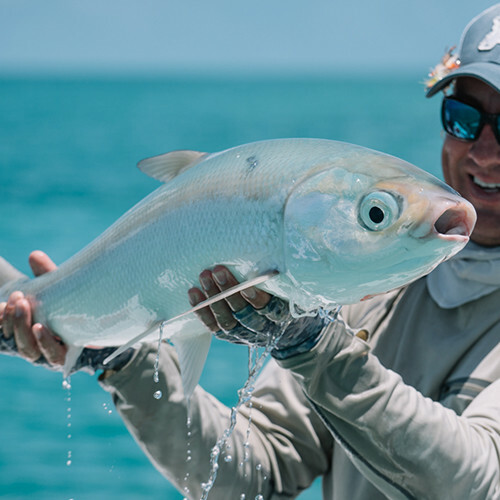 Poivre Atoll offers the best of both worlds with stunning flats and arguably one of the best jigging and popping spots that the Amirantes Atolls have to offer. 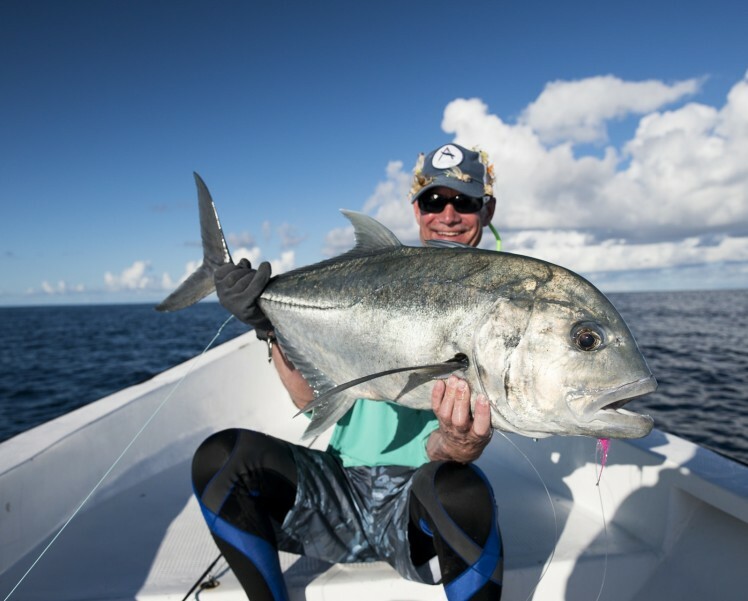 Known for record breaking Dogtooth Tuna and some of the best Indo-Pacific Permit fishing in the Seychelles, Poivre offers the ultimate challenge for any game fisherman worth his salt. Turn your fly into a fish’s ultimate temptation. 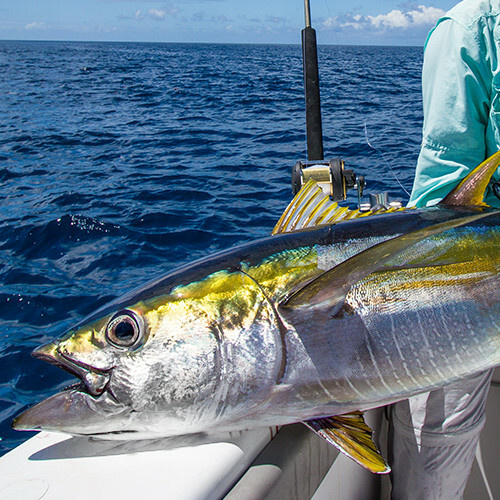 The Seychelles, with its 115 islands and deserted atolls, ideal weather and warm Indian Ocean waters, is renowned for being home to some of the world’s richest fishing grounds. 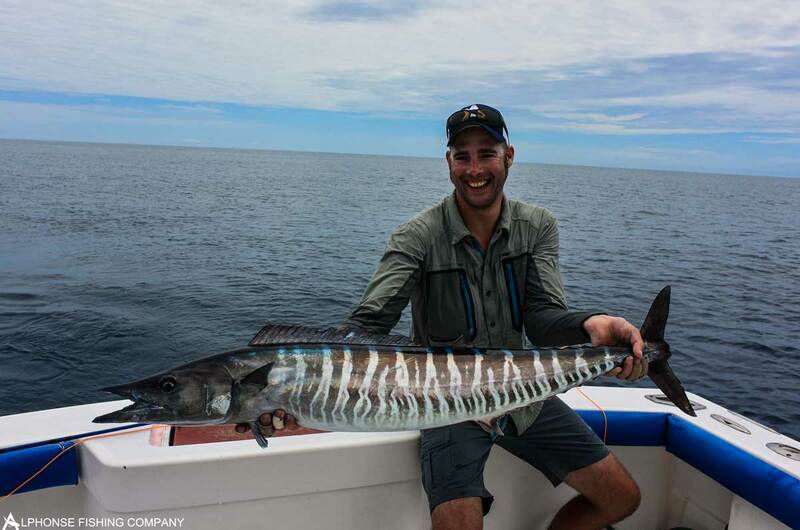 You don’t even have to venture too far to break fishing records! Read more about our favorite catches.